The Republic of Macedonia waited for this day for 26 years. For the small, isolated Balkan country, becoming a member of the strongest military alliance in the world was always a question of survival. Internally, it meant stronger ethnic and social cohesion; externally it was a guarantee that its borders are secured from neighboring countries. 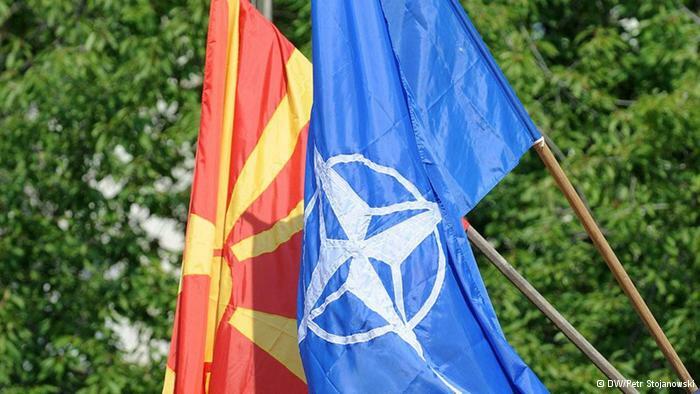 It was no coincidence that the Macedonian parliament voted on the declaration to join NATO in 1993 — the bloody wars in the other former Yugoslav republics never reached its borders, but the danger was always present. But then again, the Republic of Macedonia will never live to see its greatest achievement. Paradoxically, the days of that country are numbered. Even the NATO website today doesn't mention its future member by its name: "On Wednesday 6 February 2019, the Permanent Representatives to NATO of the 29 members of the Alliance will sign the Accession Protocol with Skopje," the city that of course is capital of the unnamed — though renamed — country. By the end of this week, once the Greek parliament ratifies the Accession Protocol, a "new" country will be announced to the world: the Republic of North Macedonia. It is the price that Macedonia had to pay to join the club. For many citizens in the country — it was too high. Thankfully for the current political decision makers, it wasn't. It took a lot of courage and political will in both Skopje and Athens to solve the name issue that blocked Macedonia's accession in NATO and the EU since 2008, and poisoned the relationship between the two nations for decades. Many will still wonder: Was it worth trading part of the country's identity and history for NATO membership? It was! Not least because it guarantees a stable and prosperous future of the country, but also since it closes one chapter, at least for the time being, of the eternal Balkan historical conflicts between neighboring lands. It offers new generation the chance to stop digging in the historical trenches and start planning for the future. 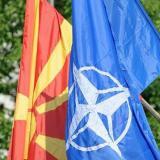 In the broader Balkans and South East European context, (North) Macedonia's entry into NATO should finally put to bed the "Macedonian question" that burdened the region for too long. Moreover, it improves regional stability in times when the ghosts of the past threaten to be unleashed — and especially in light of the neighboring countries' highly dangerous attempts to interfere with Kosovar sovereignty and statehood. (North) Macedonia has no army and its annual GDP is closer to an underdeveloped German city than to an advanced western nation, but both the US and the leading European nations recognized long ago that having this country aligned with the West is worth much more than risking another Balkan turmoil. The fact that North Macedonia is a rare example of a (more or less) functioning multiethnic democracy in a volatile region adds to the benefits of its future NATO membership. In purely military or economic terms, the country adds no value at all to the bloc, but in terms of current geopolitical interests (Russia, China) and the message its successful conflict resolution sends to the neighboring countries (Serbia, Kosovo, Bosnia and Herzegovina) it might just prove to be extremely valuable. For (North) Macedonia, a new chapter begins today. The country still faces many obstacles and difficult tasks ahead. It needs reforms across every sector of society, it needs to rebuild its internal cohesion, and it needs an economy that produces something other than brain drain. If the European Union decides to finally open the negotiations process with Skopje in June, coupled with the NATO accession, it might just be the beginning of a successful story in the long-forgotten Western Balkans.